MONDAY, Feb. 26, 2018 (HealthDay News) — There may be a link between asthma in women and changes in levels of female hormones such as estrogen and progesterone, researchers report. 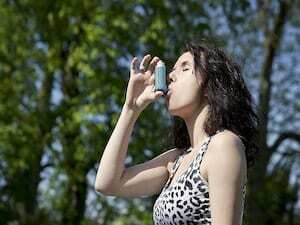 “Asthma and allergy symptoms are often affected by life events such as puberty and menopause, but the reasons behind this are unclear,” said study leader Nicola McCleary, from the University of Edinburgh’s Asthma UK Centre for Applied Research. “In carrying out this systematic review, we noted that there were many differences between studies investigating hormonal treatments in terms of the type and dose of hormone, and the way patients took the treatment,” she said in a university news release. The U.S. National Heart, Lung, and Blood Institute has more on asthma.